Eragon has a new dragon friend – meet Tess! We’re always on the hunt for new books to read while we (im)patiently wait for Book 5… and we’re happy to report that we’ve found another great dragon adventure! 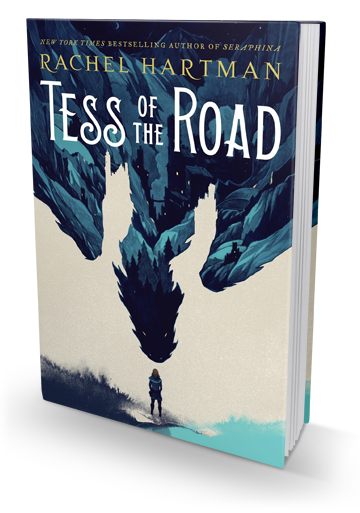 Rachel Hartman’s Goredd, explored in her Seraphina duology and now in her latest book, Tess of the Road, is a compelling fantasy universe filled with dragons, adventures, political intrigue, and incredible characters. What better of a way to introduce our readers to this new fantasy universe than with a series of Alagaësia/Goredd crossover articles?! Back when Seraphina released, we featured the universe here on Shur’tugal and our sister site, Lytherus. To say the community loved it would be an understatement! Over the course of the next few weeks, we’ll be releasing a review, giveaway, interviews, and editorials. Christopher and the Inheritance Cycle will make multiple appearances, so you’ll want to stay tuned!